New British Homes “Best Buy” Listing! Completely remodeled home perfect for a vacation get-away. Home is situated in a quiet conservation area with NO rear neighbors. Bring in the outdoors inside, all turn-key, minutes from Disney with easy access to beaches. Furniture is available separately. A new luxury resort community will begin to take shape this November on a golf course designed by the legendary “Golden Bear,” Jack Nicklaus. Bear’s Den Club is in the Reunion community near Walt Disney World. The private, gated enclave will include “Orlando’s highest-end vacation homes with breathtaking panoramic views,” along with a private, members-only Bear’s Den Clubhouse, featuring memorabilia commemorating the golf legend’s Hall of Fame career, said a news release. This is Nicklaus’ first vacation home project in the area and will feature 50 acres around both the 17th and 18th holes of the Course. Homeowners and renters in Bear’s Den Club will have access to Reunion Resort’s restaurants, three golf courses, pools, tennis courts, water-parks biking and hiking trails. Please email us if you would like to receive more information on the homes in this community. Don’t play golf – or like the space that a golf-course community guarantees? 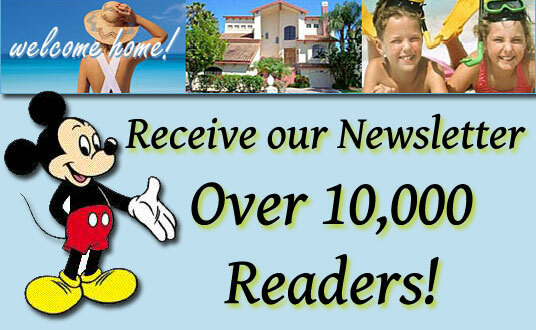 Then we have over 20,000 other residential properties to choose from – at all prices – in the Walt Disney area of Central Florida alone to choose from! Could be an astute post-Brexit investment diversification move? 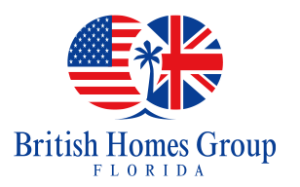 Serving UK Villa Owners in Florida for Over 30 Years! 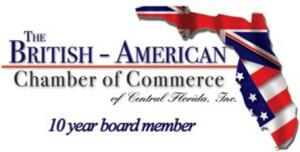 We will keep you updated but saw in the ORLANDO SENTINEL that overseas residents who invest in Orlando soccer stadium could get US Green Cards – through the EB5 Regional Centre programme. Investors could get green cards at Orlando City’s new soccer stadium if they pay $500,000 each to help build it. Bill’s note – the investment level is set to rise to $800,000 in September. Please call or email us asap if you think this Visa may be an option for you and your family. The Employment-Based Immigration Investor Program, or EB-5, was created by Congress in 1990 to encourage foreign investment in the nation’s blighted urban cores and rural areas by offering a path to citizenship as an incentive. Flávio Augusto da Silva, the Orlando team’s majority owner, said he aims to raise half the cost of the $156 million stadium with EB-5 money. Defenders say EB-5 has created thousands of permanent jobs in the U.S. and generated billions for new projects including condominiums, hotels, and shopping malls. After investing their money, EB-5 applicants typically wait 16 to 24 months for a temporary green card, he said. They can seek U.S. citizenship five years later. Investors in the Orlando soccer stadium also receive a stake in the company that runs the stadium and two club seats for 10 years. Happy Orlando Soccer Stadium (and “Green Card”) investing! Lake Buena Vista Resort and Spa is another local EB5 Regional Centre. FOLLOWING IN THE FOOTSTEPS OF ITS MOST FAMOUS RESIDENT, MICKEY MOUSE, THE US CITY OF ORLANDO IS CONTINUING TO ATTRACT A SIGNIFICANT NUMBER OF NEW INHABITANTS. According to the most recent figures released by the US Census Bureau, Orlando is the number one destination for population growth, adding over 60,400 new residents in just 12 months (July 2014 to July 2015). This substantial increase accounted for a 2.6% growth in Orlando’s total population during the 12 month period, making it the fastest growing of the US’s 30 largest regions. Orlando’s rising population ensured that it was also named in Forbes.com’s prestigious list of America’s fastest growing cities. Compiled by ranking the 100 largest metro areas and their surrounding suburbs, they factor in population growth for 2015 and 2016, year-over-year job growth for 2015, the metro’s economic growth rate, unemployment, and median annual pay for college-educated workers in the area. Currently ranked 7th, with a substantial projected growth rate of 2.03% for 2016, Orlando is definitely a city to watch this year. 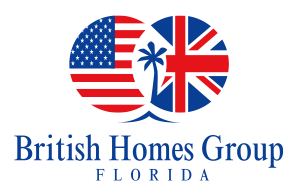 With a rising population comes growing housing demand, and savvy international investors are increasingly looking to Orlando and the Sunshine State of Florida as a safe and secure destination, with a wealth of opportunities. As well as experiencing strong population growth, Orlando has also witnessed a surge of tourism in recent years, adding to its already strong position as a hub of real estate investment. The city itself attained a new tourism record in 2015 as ‘The City Beautiful’ welcomed over 66 million tourists. George Aguel, President and Chief Executive Officer of Visit Orlando, the region’s tourism arm, recently revealed 2015’s 5.4% growth, which comes just a year after Orlando became the first US destination to surpass 60 million visitors. Read the full article on our Buy To Let Homes site. Can’t wait for King Kong’s return to Universal! The video captures the main doors of the temple already open, and it ends once the bus enters the temple that is expected to contain a 3-D visual component to the attraction. Testing like this is normal as attractions near the final stages of construction and theme park crews begin to tweak performances or timing of different scenes. The story Universal Orlando previous shared states the ride has guests going deep into the terrain of Skull Island and coming face-to-face with the various creatures of Skull Island, including some dinosaur-like reptiles. Some numbers from the ORLANDO BUSINESS JOURNAL on distressed property sales in the Orlando area. Distressed sales continued to decrease in February, according to a new report from CoreLogic. Orlando, Kissimmee and Sanford had the largest year-over-year drop in its distressed sales. In January, our share of distressed sales was at 19.8 percent, so the latest data shows a pretty good decrease for the region. In fact, Orlando-Kissimmee-Sanford had the largest year-over-year drop in its distressed sales share, declining by 5.3 percentage points from 24.3 percent in February 2015 to 19.1 percent in February 2016. More good news for Orlando villa owners!